Once Netflix changed their direction from DVD-by-Mail to streaming videos, DVDs and DVD players have been drastically losing revenue. Redbox has a big challenge according to CinemaBlend, "DVD sales saw a 28% drop last year, making $12.2 billion. This total only is expected to reach $8.7 billion by 2018, a time at which electronic home video (streaming titles or digital downloads) are anticipated to be the highest-earning element of filmmaking." What can Redbox do if their sole business model is being outdated? Is it possible for them to do what Netflix did by moving to streaming videos? Or is it too late for them to enter such a hot market and still compete? Redbox doesn't have to shift gears tomorrow, however they need to have a plan of attack for the day when electronics manufacturers decide to stop making DVD players. The DVD player is considered a complimentary good to the DVD rental business because it's necessary for the DVD rental business to exist. The gaming industry is similar because the game makers are separate from the game console manufacturers. DVDs and video games are dependent on the manufacturing on their parent item. Redbox needs to seriously consider the 5-year plan of electronics manufactures in order to create a 5-year plan of their own. It may seem like an uphill battle to start competing in the streaming video market, but the DVD rental business could be considered an even steeper hill to climb. Redbox has in fact jumped into the streaming video market by offering a monthly subscription charge of $9 for 4 DVD rentals per month and full access to their limited streaming videos selection. One option for Redbox is to simply copy the Netflix model by gathering as many HD titles as possible so that their customers have a wide selection. It would be nice to set yourself aside from the pack, however Amazon and Hulu don't really set themselves aside either. Redbox was able to set themselves aside in the DVD rental market by offering a cheaper price option for those that are determined to watch the movie and return it the next day. The price beat local rental stores, the convenience beat Netflix's delivery speed, and the cost was cheaper than On-Demand videos. A company called Outerwall owns Redbox and Coinstar which creates an interesting combination for those that enjoy the low prices of Redbox rentals. Coinstar charges a fee to accept your change and turn it into bills. The Coinstar machine could have an option to use the total amount of money due as Redbox credits. The option given to the Coinstar user would be 1) Accept the 8% charge and collect your bills at the register, or 2) Waive the 8% charge by turning your money into Redbox credits. Redbox makes it very easy to use your credits by remembering your card when you swipe it. Coinstar customers may even come more often with smaller amounts of change just to increase their credits in their Redbox account. More customers may choose to use Coinstar for the Redbox credits and, of course, Redbox sales will hopefully increase more than the amount of waived fees from their Coinstar machines. Either way, it's an additional service to offer your customers, so even at a cost to Outerwall, it could make them more competitive. A third option for Redbox to innovate would be to use their streaming service as a daily rental fee similar to their current model. Instead of a monthly subscription that customers are forced to pay every month, they could rent streaming videos for $1 per day and the customer can decide when they want to "return" the streamed video. This business model would set them aside from the rest of the streaming video companies, and customers would understand their approach due to its similarity to their current strategy. 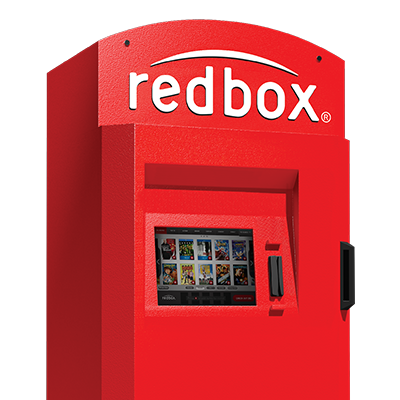 Redbox was created by offering a lower price structure, but their new model is cloudy at best. It's becoming apparent that they had one idea, ran with it, and are now stuck deciding how to be creative as the market changes. Netflix, on the other hand, has proven 3 times that they know how to adjust to market changes and be the first to jump into a brand new market. I'm sure Redbox could gain a small market share of streaming videos if they continue copying the top three competitors, but it will be difficult to simply scream, "ME TOO, PICK ME!" There needs to be something that sets them aside from Amazon and Netflix. Involving Coinstar is an innovative approach that could interest some people. Let's face it, DVDs aren't going anywhere for more than 5 to 10 years, so Redbox being one of the few players in that market, will hold the market share and still allow people to rent DVDs when they feel like it. Internet connections can cause problems with streaming videos and DVD-by-Mail programs take an extra day or two. When people want to watch a movie they want to watch it now, and Redbox still offers that option at a low cost. Some could argue that coins will be obsolete along with paper money and DVDs, however they aren't gone yet and Redbox is still a $1 Billion dollar company (OUTR). The first two options for innovation have probably been discussed by the executives at Redbox already, however I'm not sure about the third option. Charging customers a rental fee for a streamed video allows the customer to watch the video for a low price if they quickly return it. If they want it for an extended amount of time it will cost an additional $1 per day. Customers also have the freedom to pay nothing during the months that they are busy or simply don't feel like watching movies or shows. I'm sure there are Netflix users that watch far more than they pay for while there are also users that don't get their money's worth. Redbox streaming rental program allows the user to decide what they want and when to pay for it. Redbox kiosks have physical locations that remind customers to rent a movie right at that moment in time. A couple or family can head home after grocery shopping with a movie to watch that night, and they won't have any problems with an internet connection. Sean Hollister of The Verge says, "But the most compelling part is the convenience factor: where Netflix's discs have to travel through the mail and its streaming films are older and subject to my internet connection's whims, I can pick up a crisp 1080p Blu-ray at my local supermarket or 7-Eleven while picking up groceries shortly after it hits retail. Redbox apps for iOS and Android can let me know which movies are available ahead of time and reserve them if I care, and Redbox Instant credits make that even easier." I believe they should keep that business model until it actually dies, not when people think it will die. Aside from that, I believe Redbox should continue collecting streaming movie titles and rent them for $1 per day. The user can select how many days, but every day will incur the same price of $1. They will set themselves aside from the competition by not having a monthly subscription charge. In fact, Redbox could combine two of the ideas. The Coinstar machines can still accept change as credits to Redbox movie rentals with a waived Coinstar fee. The money would be available at Redbox kiosks and on the streaming video platform. Redbox can continue renting DVDs until they no longer exist, but nonetheless, they need a plan of attack for streaming video users. In a Harvard Business Review interview, Katsuaki Watanabe of Toyota said, "There is no genius in our company. We just do whatever we believe is right, trying every day to improve every little bit and piece. But when 70 years of very small improvements accumulate, they become a revolution." They need to jump in and make a splash that says, "We're still here, being innovative and smart with our approach", especially for their investors. The main questions for investors are, "Will Redbox outlast DVDs? Do they have the creative ideas that will take them to the next level? Should we invest in them over the next 5 years?" I believe in Reed Hastings, CEO of Netflix, because he has proven that he can adapt, and investors like to see that innovative skill in the CEO of a company. In order for Redbox to survive past the DVD rental market they will have to change directions into streaming videos, and create a slightly different approach that sets them aside in the market. As of now, Netflix holds the majority market share with 35% which is ahead of Amazon Prime (13%) and Hulu (6%), mostly based on, not only total content, but also high definition content. In order to jump into the market with a monthly subscription charge, one would have to pay millions, or billions, of dollars on streaming content so that their customers have a variety of shows and movies to watch. However, Redbox currently has a unique strategy that charges $1 per day for DVD rentals which gave them enough competitive edge that built them a one billion dollar empire. Other movie rental stores were charging $3-4 per rental for 3-4 days, so Redbox broke it down to a per-day rental instead. Keeping a similar business model by charging $1 per movie rental allows Redbox to enter the market with very little streaming content because customers aren't paying a monthly charge. As long as the application is free, customers can have it available as another option without paying until they actually watch something. Secondly, if the same title is available in Redbox, and it's cheaper, customers will be sure to look there before paying $5 On Demand. Redbox needs to determine what phase they are currently in and what phase is the optimal time to enter the new market. They need to estimate a timeline to determine how long it will take to make deals for streaming content from networks and filmmakers, and at which point in the timeline they will start marketing and promoting the new application. Finally, Redbox needs to prepare for speed bumps along the way by completing a feasibility analysis, listing and avoiding problematic situations with competition and failures, and determining the best time to enter the market. Redbox is like a bookstore that doesn't have an online presence or a Compact Disc (CD) retailer that's trying to compete with streaming songs and videos. While companies such as Walmart and Best Buy are still selling some CD's they're sales are dropping quickly due to customers using iTunes and YouTube. In fact, Best Buy is not trying to compete in streaming music, instead they are devoting the CD section of their stores towards more profitable items. Sam Gustin of Daily Finance says, "Best Buy has recognized for quite a while that CDs and DVDs are going away, and they have huge chunks of the stores devoted to them," Andy Hargreaves, who covers Best Buy for Pacific Crest Securities, told DailyFinance. "What do you do to make that space productive?" He goes on to say, "We'll have another store reset before the holidays, which will include an increase in the space for higher-growth and, in the aggregate, higher-margin categories, like Best Buy Mobile, e-readers and gaming, with a heavy emphasis on new gaming platforms and pre-owned game titles", Dunn said. Redbox is soaking up the end of the market while the consumers adjust to the new technology, however they don't have any "more profitable" items to put in the kiosks which means the Best Buy approach won't work. Of the three phases, first mover, early follower and late entrant, Redbox is already the late entrant, which means they need to make a splash when they enter. For instance, assume a new pill is created that cures skin cancer after taking the pill for one year and the pill costs $100, taken daily. Then there's a follower that comes along and creates the same pill for $50 and it needs to be taken for 6 months. The follower can dissect the first mover's pill and make changes that allow it to be cheaper and more effective, which Redbox currently has on their side. The next late entrant to the market might have to spice things up a bit by offering a preventative skin cancer pill that can be taken once per year to avoid ever getting diagnosed in the first place. Each of the three companies had an advantage in this scenario because they understood their placement in the market and used it to their advantage. As the late entrant, Redbox needs something much cheaper or some kind of updated technology. What can they offer that's not currently being offered? It needs to be something besides a monthly fee that allows customers to choose Redbox, such as a cheaper cost to rent, or shows that no one else has, or even a unique partnership with Coinstar that allows customers to purchase movie rentals with spare change. Cable bills increase quickly when On Demand movies are purchased throughout the month, and Neflix's continuous monthly charges can add up when the customer isn't actually watching the movies each month. We've all had a gym membership that went unused for months at a time, so that may cause people to cancel Netflix after a certain amount of time. With new releases and $1 rentals, Redbox will quickly gain popularity in a somewhat untapped market. Redbox is already a late entrant to the market, but as far as a timeline, they should enter soon. They need to discuss the partnership with film makers that offer them new releases and translate those relationships into streaming. They should start allocating a large portion of profits towards relationships with networks and filmmakers because streaming is very expensive. The process could start by offering popular titles instead of numerous titles in order to create customer awareness. Customers may opt in quickly for the low rate of $1 per rental and may even watch it more than once because $1 doesn't add up as fast as $5 per view. Netflix, Amazon and Hulu each charge a monthly fee that is paid whether movies are watched or not, so Redbox can immediately have the attention of those that aren't yet subscribers. Netflix invests billions of dollars towards thousands of titles but Redbox could invest millions of dollars in fewer, more popular, titles allowing them to enter quicker. In order to build awareness, Redbox can spend less on advertising by using their partner Coinstar in the early stages. As Coinstar customers are trying to turn coins into dollar bills, the machine can ask the user, "Would you like to avoid the 8% fee by transferring your coins into Redbox streaming video rentals? Each rental is only $1 and there is a long list of popular titles in high definition viewing." There are millions of Coinstar users that will either opt to transfer their money to Redbox or at least figure out that Redbox now offers streaming videos without a monthly fee. Redbox grew mostly due to word of mouth for a good service at a good price, and they could easily repeat that process. Customers may watch 10 movies per month, or they might watch 5 during the first month and 3 during the second month. Right now there isn't any streaming video service available without paying a monthly fee. It should take less than one year to enter the market and the few preceding years can be spent making additional relationships with networks and film makers. Redbox needs to frantically jump into the market and build a few relationships as soon as possible. Once they have the relationships with film makers they have an edge before they actually spend any money. Popular titles will be their edge and it will be more competitive with On Demand instead of Netflix. Redbox will be looking for users that aren't yet subscribed to the other monthly services, and they will be looking to steal customers from the other services on a monthly basis. Streaming content is a flat fee with the film maker so the profits could soar early whether people switch from Netflix or not. Even Netflix customers will pay an extra $1 to watch a new release that Netflix doesn't offer. However, 2-3 years down the road, many customers will have good reason to opt out of their monthly subscription with Netflix because they aren't using the service to its fullest potential. It will save them money to cancel and simply watch movies at their own leisure for $1 each. It will take 2-3 years because Redbox will need to collect more titles while they promote new releases during the first 2 years. Amazon Prime has a different format that includes free shipping on their website products and streaming videos together. Again, customers may not be using it enough to continue paying the monthly charge. Of course, many customers watch more than enough movies to cover the monthly charge, just like some people over-eat at buffets, but others don't quite get their money's worth. Redbox has a struggle ahead of them that could be a deal breaker. Paying for content is expensive to say the least, so it may be difficult to turn a profit at such a low monthly charge. It sounds like a great idea, however Netflix is paying billions of dollars now and billions more to come. Competitors charge monthly fees which allow it to calculate how much they will earn each year, which in turn allows them to calculate how much they can spend on new content. Redbox would struggle to determine a solid financial plan, however they will spend far less than Netflix on content in the early stages. Redbox succeeded by offering $1 DVD rentals so it shouldn't be unfathomable to think they can't do it with streaming as well. That variable is mostly based on the innovation, not the timing of entry. Another variable is that it will be difficult to get new releases on their side. I'm sure Netflix has tried to get those titles and failed, however their business model promotes the less popular titles because they get more views in obscure movies and shows. Redbox would have the exact opposite approach by having fewer, more popular, titles instead. Without the monthly subscription it will be easier to quickly create revenue to offset costs of streaming. Those who aren't using a streaming service have heard that Netflix exists and choose not to join for some reason. Long term Netflix customers may have been paying for the service without watching enough shows or movies. Those will be the targets for Redbox to obtain. One could say "the sooner the better" because there are 3 major players gaining solid traction, however entering a market too soon could be another problem. Redbox could take a big risk by entering too soon. Strong relationships will be important to start before entering. Create a streaming relationship with new release titles, just like DVDs. Focus on new releases instead of numerous titles. Create an online presence that allows customers to search and view titles just like Netflix, Hulu and Amazon. As revenue comes in Redbox can increase the amount of titles still focusing on the most recent. Soak up the end of the DVD market as long as possible. The best part of the plan is that the biggest cost will be an approved relationship with a film maker. Without the approval Redbox won't be able to have a competitive edge, but they wouldn't have spent any money trying either. If they are able to make a few deals they shouldn't need more than 10-15 titles because people like to see the latest and most popular titles available. Once they have a small following over the first year or two, they can focus of increasing the amount of titles and create a better online presence for their streaming customers. Meanwhile, Redbox should continue to push their DVD rental business because it's creating most of their revenue and there's almost no competition at all. Employees and shareholders are the biggest stakeholders for Redbox because they stand to lose the most if the project fails. Customers come next because they decide the fate of innovation by adopting to it or not. Employees are in a tough position because, as DVD sales diminish, they could lose their jobs, but investing in a poor idea of innovation could double the speed in which they lose their jobs. Shareholders have invested money in the business because it currently works, however a drastic change like this could gain new investors or lose current investors. Either way, shareholders have money invested that could be lost if the project fails. If Redbox can promote the innovation as the greatest thing since sliced bread they can gain investors that like the idea. This will limit the amount of profits needed to invest in streaming content but it will be kind of like doubling down at a casino for Redbox. Double the profits or double the losses are at stake and that's why stakeholders are considered in this assessment. If Redbox continues to offer $1 rentals it will give customers the warm feeling of comfort that they currently receive from their current business model. Their previous streaming failure due to copying Netflix was a failure just like $4 DVD rentals in their kiosks would've been a failure. Being different made them popular so they need to stick with that approach in order to gain the support they need from employees and shareholders. Ethics can be discussed when we look at the comparison to On Demand movies and streaming new releases. On Demand offers a very similar platform to which Redbox has planned because both would offer movies priced by view rather than a monthly subscription. Was it ethical for Redbox to undercut mom-and-pop rental stores by so much money? Is it now ethical for Redbox to jump into the streaming market at $1 per movie for 24 hours compared to $5 per movie for 48 hours? Ethics are not laws but they are still considered when making decisions about business or personal lives. It's legal to believe that men are better than women, however it's not ethical and should be considered before speaking out. It is completely ethical for Redbox to enter the market and lower prices if they have a plan in place to make money. Even if it destroys other businesses, how would it be any different from Netflix starting to destroy Redbox or Redbox destroying Blockbuster? Streaming new releases is a hot topic. Movie theaters get rights to new releases first and foremost, they used to go to the movie rental stores until everything started streaming online. The ethics in this department would be in the hands of the film makers more than Redbox however, because they decide who can and cannot pay to stream their content, for the most part. Even if Redbox struck a deal that no other company has yet received, such as titles on the same day as theaters, it would be due to the decision of the film maker and the ethics card is held by them. There are legalities in relation to streaming content that Redbox will have to consider such as copyrights, age restrictions on movies, and theft. The most obvious legal issue for Redbox would be to steam content that they didn't pay for because it would cost much more in legal fees and damages that purchasing the content. Christine Sterbenz of Business Insider says, "You don't need HBO to watch "Game Of Thrones". All you need to watch the most pirated show ever, or almost anything, is either to download it from a torrent site or to Google "Game of Thrones streaming" and click one of the first links that comes up to watch it online." Apparently some of these sites are somehow legal, however it's a touchy area and Redbox shouldn't dare to set foot anywhere near it for legal reasons. Redbox will have to incorporate some software that allows parental restrictions either to require a password to watch certain titles or to completely remove them from previewing. Parents look out for their children and most of them don't want rated R movies at their fingertips. This could cause a mom-uproar that Redbox does not want to encounter. Finally, Redbox has to be careful of people stealing their content. It appears many online sites have figured it out already, so Redbox needs to be prepared to deal with this situation before it becomes a legal situation. There's software that can stream a video of a person's desktop screen which means they can do whatever they want with that video they have it. They can't legally steal the content of course, but they can upload it at their own risk if they want to, and that will compromise Redbox's authority if investigators find out they easily stole it from Redbox. Theft is a legal issue as well as a security issue. Redbox will need to take the necessary steps to be sure theft is not an issue. They will also have to hold credit card and other personal information because customers will want an easy way to quickly watch a movie of their choice. Redbox currently holds credit card information for DVD rentals but accepting credit cards online is a different ball game. Hackers can steal anything that goes into an input field if the website isn't secure so they need to be prepared to accept thousands of online forms without compromising the information entered. Netflix has a security team in place to make sure personal information isn't stolen, in which Rachael King mentions in a WSJ article, "Netflix has since introduced a variety of security tools such as Security Monkey, Scumblr and Fully Integrated Defense Operation that automate everything from finding compromised subscriber accounts to responding to security incidents. 'When you move faster, it's just logical that the ability for humans to operate effectively diminishes." Redbox should have automated software that detects fraudulent business and either fixes the issue or reports it to a human technician. This obviously can't find every problem that comes up but it can detect it and report it quickly to start. When companies grow quickly human errors become impossible to prevent so automation is almost necessary for Redbox to consider is terms of security. Redbox has options. Not only can they continue getting almost all of the DVD rental business through their Redbox locations, but they can also jump into the streaming video market with an innovative price structure. Even though Redbox is a billion dollar company they could lose their complementary good of DVD player manufacturers. Kristy Puchko mentions in her article on Cinemablend.com, "PricewaterhouseCoopers's new study that shows box office and digital revenue is projected to rise steadily over the course of the next five years, while the sales of DVDs--as well as other disc formats--are predicted to fall drastically. This study posits that the sale of streaming video titles will exceed the sale of physical DVDs as soon as 2016. Which means, DVD's days are numbered." They need to stand out in a creative way so that they gain some attention from people that don't want to pay a monthly fee. Their competitive advantage is going to lie in the low cost to rent a movie and the fact that they don't have to stream as much content as competitors. Netflix customers demand numerous titles because they want to watch new movies that support their monthly fee. Redbox doesn't need to provide that much content because users aren't paying monthly, it's simply another possibility for people to watch a movie at a low cost. Their main goal will be to partner with the most popular and most recent titles as soon as they are released from theaters in order to keep the same audience they currently have. Once they have a few partners and revenue coming in from streaming, they can start to partner with additional film makers, TV shows and networks as a growth opportunity. However, they need to stick with their core competency of new releases with a cheap rental fee because that's what they have been best at for the past 10 years. Ira Kalb (July, 2013). Innovation Isn't Just About Brainstorming New Ideas. Kristy Puchko (October, 2014). DVD Going the Way of VHS in 2016. Sean Hollister (March, 2013). Redbox Clings to the Dying DVD, and it May Pay Off. Sam Gustin (September, 2010). RIP RD's: Best Buy to Cut CDs and DVDs as Google and Apple Prep for Music War. Christina Sterbenz (April, 2014). How Sketchy Streaming Sites Really Work — And Why Some Are Legal. Rachael King (June, 2015). How Netflix Manages Security in the Age of DevOps.